Use .820 End Caps to attach to the end of the 3/4" drip poly tubing (.820" OD), and or .820 soaker hose. 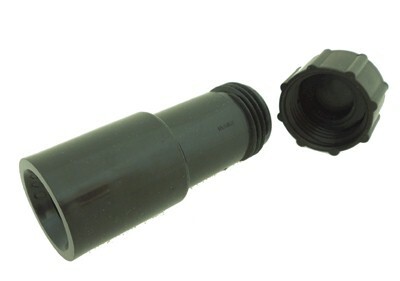 The cap unscrews for easy flushing and draining of poly tubing for winter. Compression fittings require no glue. Compression end (black ring stamped 800) accepts .820-.830 OD drip tubing, soaker hose.